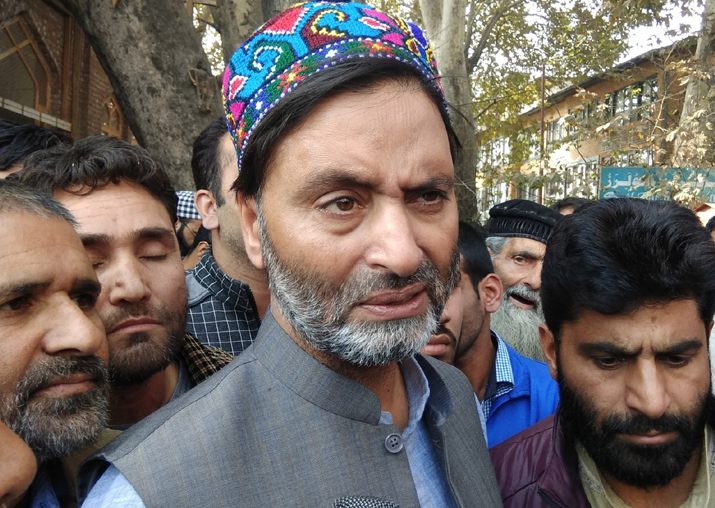 New Delhi, Nov 3: The Enforcement Directorate (ED) has issued show-cause notices to Kashmiri separatist leader Yasin Malik and a Srinagar-based couple in a 2001 forex violation case, an official said on Friday. Malik, Chairman of the Jammu and Kasmir Liberation Front, and the couple have been issued notices under the Foreign Exchange Management Act regarding the ED's ongoing probe into the case registered by the Jammu and Kashmir Police in 2001. The agency asked the three to reply within 30 days, following which civil adjudication proceedings would be initiated. The police had seized $1,00,000 (about Rs 48.23 lakh as per conversion rates at that time) from the couple identified as Mushtaq Ahmad Dar and his wife Shamima in 2001. Dar allegedly told police that a person in Nepal handed him the money to give it to Malik. Police arrested Malik but he got bail. He was summoned by the ED but he never responded.